Posted by MrMusselman in Student Work. 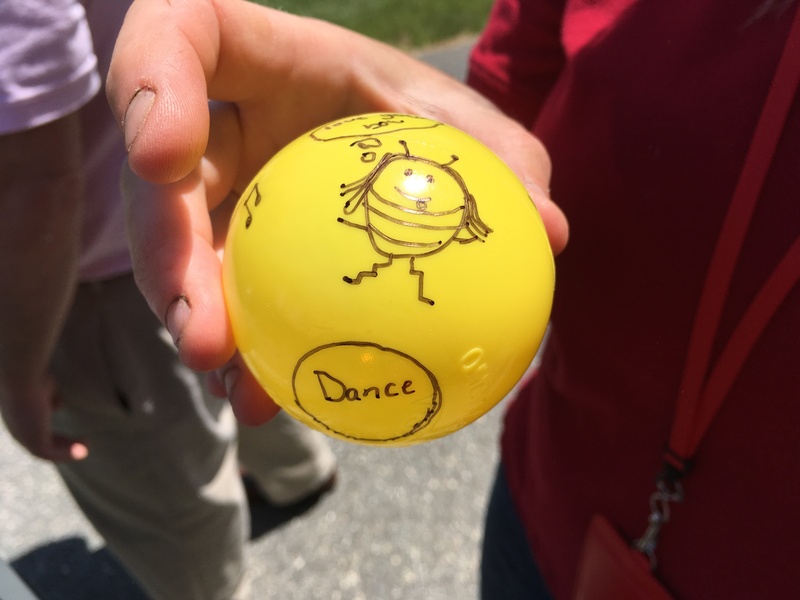 Camp Eagle students got a bit of the Bournedale experience last week with help from Mrs. Warford and Mr. Musselman. An engineering challenge awaited them Friday morning as students constructed “harmless holders” in an effort to improve on the widely used (with unpleasant natural side effects) plastic ring can carriers. Students started by examining the alternative materials available and researched the average decomposition rate of each material in the ocean, generating two-column note charts as they researched before regrouping to share what they learned, documenting their new information on the class white board. Students then got to work planning their designs, sharing with classmates, and teaming up when design interests intersected. Students got to use some less common tools for classroom construction and Some designs required some revising as students started constructing prototypes, but many creative solutions carried the day! Pine Glen fourth graders got an opportunity to play waterfront developer during their stream table investigation this week. After creating what was discovered to be a model stream/river and beach, students were given the opportunity to decide where they would build homes on the landform site. Some went for big risk, big reward while others took a more conservative approach. In the end many realized that the power of moving water was a force to be reckoned with! Along the way they considered how their small scale model might provide evidence for how larger landforms such as canyons and deltas form on our Earth’s surface. Posted by MrMusselman in Science, Student Work. Over the past two weeks, first graders at all of the Burlington elementary schools have been starting their exploration of the patterns we see in our sky by observing their shadows to answer the question: Does the sun move in our sky? Just about every first grader acknowledges that the alternating day and night we experience is a pattern, but how and why this pattern occurs is often a mystery. To help uncover this mystery, Mr. Musselman has been spending time with each and every first grade classroom outdoors with chalk, clipboards, and some clever use of student feet to observe and measure how student shadows change over the course of the day and how it relates to the sun’s position in the sky. Students work together (just like scientists!) to trace one another’s shadow. Early morning shadow measurements at Pine Glen with Miss Jackson’s first graders. Then they record the time of day and the length of the shadow by counting how many steps they can take toe-to-toe. Measuring our morning shadow length with our footsteps. Once the measurements have been taken and the time recorded, students add this information to a chart, collecting their data for the day on the chance a rain shower might come and wash their shadow tracings away! Recording our shadow data into our notebook. Later in the day the students record to observe the changes to the length and direction of their shadow. Many students are surprised to see just how far their shadow has moved. 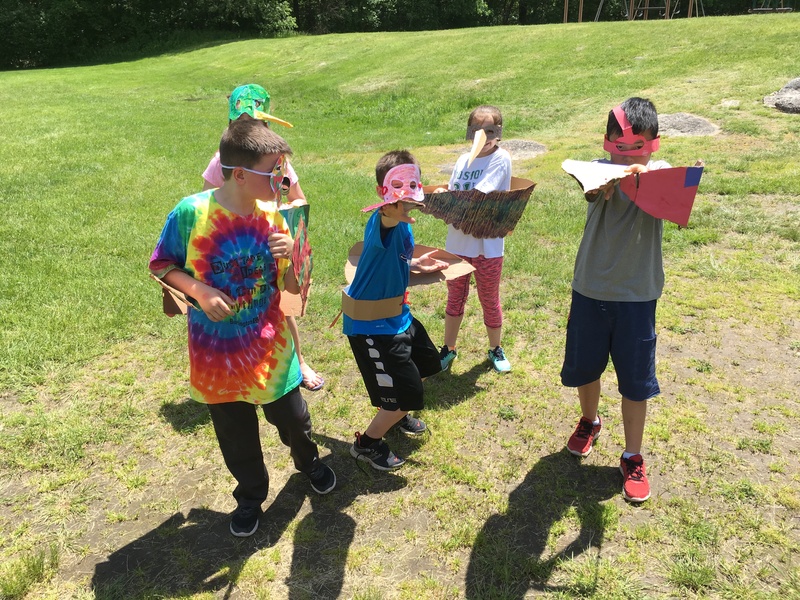 They take time in their notebook to describe the new location of their shadow in the sky, sometimes using the cardinal direction they are facing (with the help of Mr. Musselman’s compass app) or by describing an object on the ground that the sun is over. Our shadow is a little bit slanted! What does this tell us about our sun? Students also take time to observe the shadows of their friends and look for patterns there too. Do all of the shadows appear to be pointing in the same direction? Are all the afternoon shadows shorter or longer than the morning shadows? Are these patterns too? Students answer these questions and make predictions about where they think a shadow might be cast later in the day before wrapping up their day 1 investigations with Mr. Musselman. Wow! That afternoon shadow has shifted right quite a bit. Do you see a pattern in the direction of all of these shadow tracings? I do! On day 2 students return to their shadows once more around the same time they visited the previous day. Is the shadow the same or different? What do we think our shadows will be like at this time during the winter? We will have to investigate more then to find out! Over thirty students from all four Burlington elementary schools participated in the Science Center’s FIRST Lego League Bootcamp session as a part of the Burlington Public Schools summer programming. Students took on the robotics challenges from last year’s FIRST Lego League Challenge, “Animal Allies” using the board, challenges, and LEGO elements used by the MSMS Robotics team in the fall of 2016, Also on board were three volunteers from the team as well as a mentor from the BHS Devilbotz. Mrs. Sheppard and Mrs. Anderson co-operated the camp with Mr. Musselman and hope to use some of the elements and LEGO kits themselves in the coming academic year in their classrooms or after-school clubs. About to begin scoring round 1 of our FLL boot camp! A look through the Burlington Science Center instagram feed over the past two weeks will reveal all of the great fun students had succeeding (and failing!) at their challenges. Students learned the importance of using sensors to guide robots toward their goals and experienced first-hand the challenges of cooperating with peers to coming to a consensus on how to approach a challenge with many possible solutions! Mr. Musselman is also pleased to announce that next year the Science Center will be expanding its role in the community by developing a EV3 LEGO Robotics library loan program, available to all Burlington students. Contact Mr. Musselman after September 15th to schedule a loan of one of the center’s EV3 LEGO kits. The Science Center would also like to thank the BEF for their continued support of Burlington Public Schools robotics programs and the Science Center specifically. Thank you for all that you do! Our great robotics programs would not be possible without the support from the @burlingtonedfoundation. Thank you! 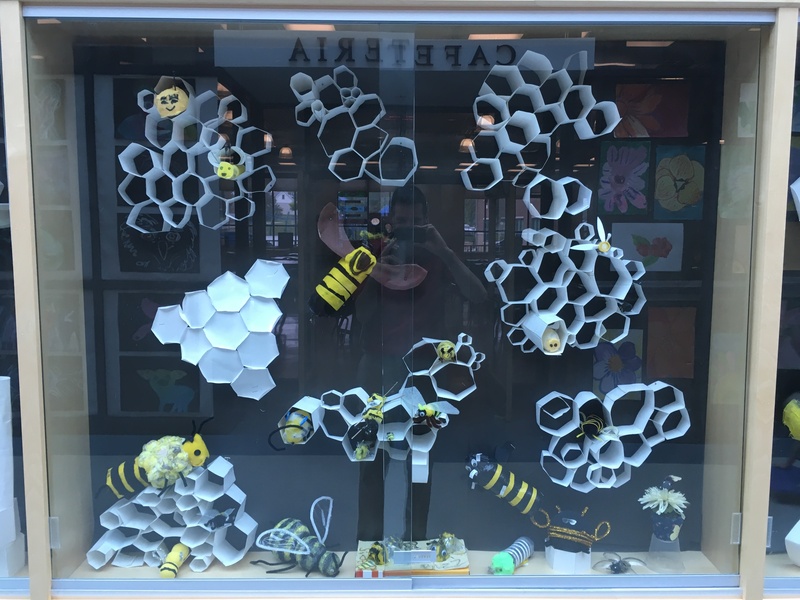 Posted by MrMusselman in Burlington Community, Science Center, Student Work. After two years of planning, designing, and construction successes and setbacks the BEF-sponsored “Augmented Reality Sandbox” has become a physical reality! 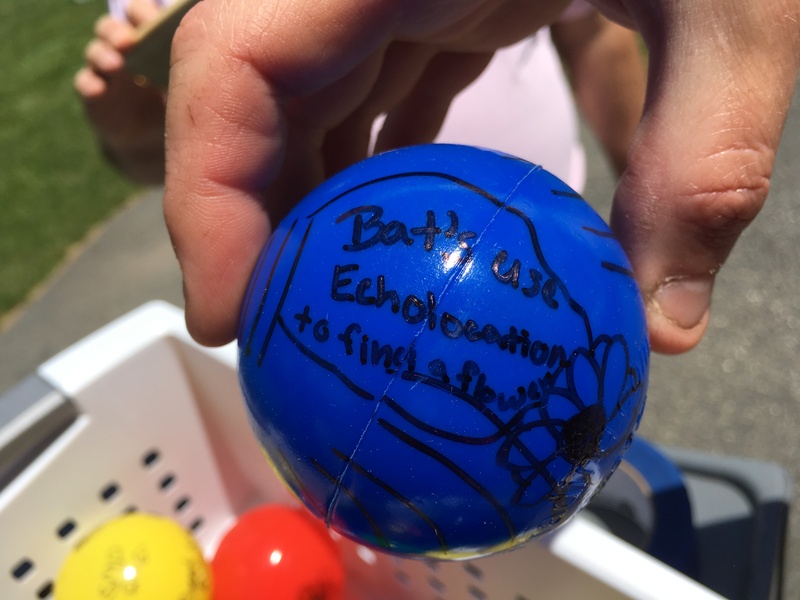 Several students from the BHS Helpdesk have put their efforts towards this project, a tool designed to engage and support student learning around earth systems, watersheds, topography, and geologic hazards just to name a few. It has been the work of graduating senior, Eddie Reiss that has brought the project from pen and paper to fruition. During his time in the fall as a HelpDesk member Eddie “speced out” the necessary hardware, investigated different style projectors and sandbox sizes before ultimately falling on the design featured above. In the closing weeks of his tenure at BHS he took on the construction of the project as an individualized learning “internship”. The completion of this project means that with some minor additional work to be completed over the summer hitching the computer to the base of the portable sandbox and running cables up one of the posts, the sandbox will be ready for classrooms in the 2017-2018 academic year! The sandbox will also be featured at the 2017 MassCUE annual conference in the fall. Posted by bsciencecenter in Science Center, Student Work. The Science Center takes all first grade to Marblehead Neck for a parts and function field investigation of tide pool animals. When the students return, they brainstorm about the animal, their parts and their functions. They then imagine, design and create a new tide pool creature. They test their creature in a mock tide pool bin to see if their animal survives the motion of the waves. 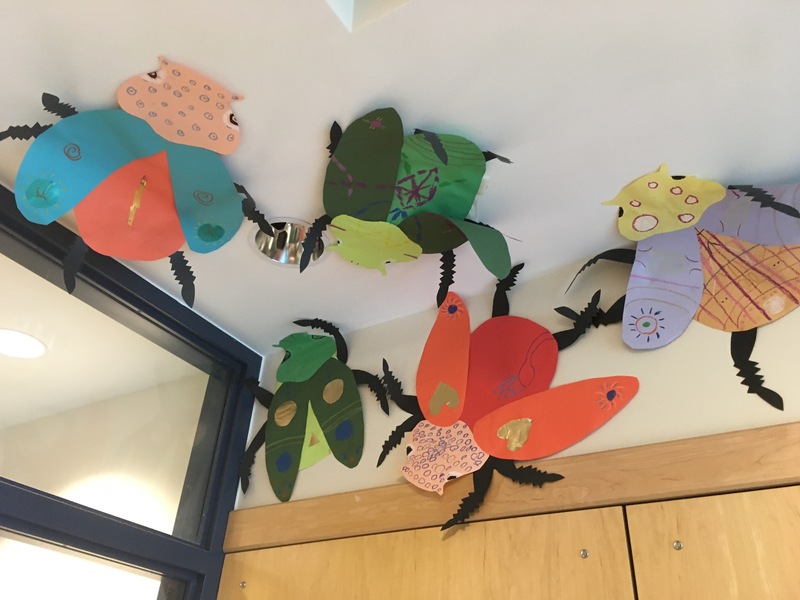 Check out the video of some first graders from Fox Hill sharing their “create-a-creature” and putting their creations to the test! 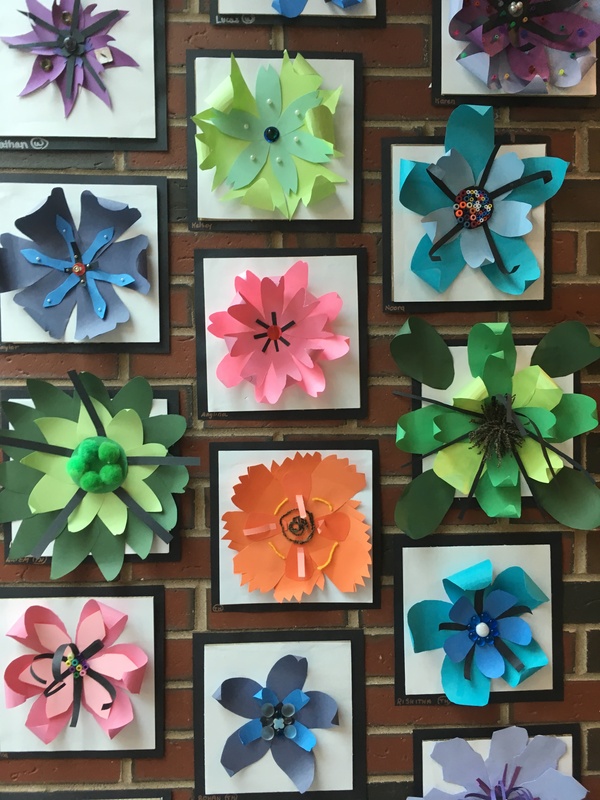 Beautiful flower artwork on display in the Memorial Elementary hallways. 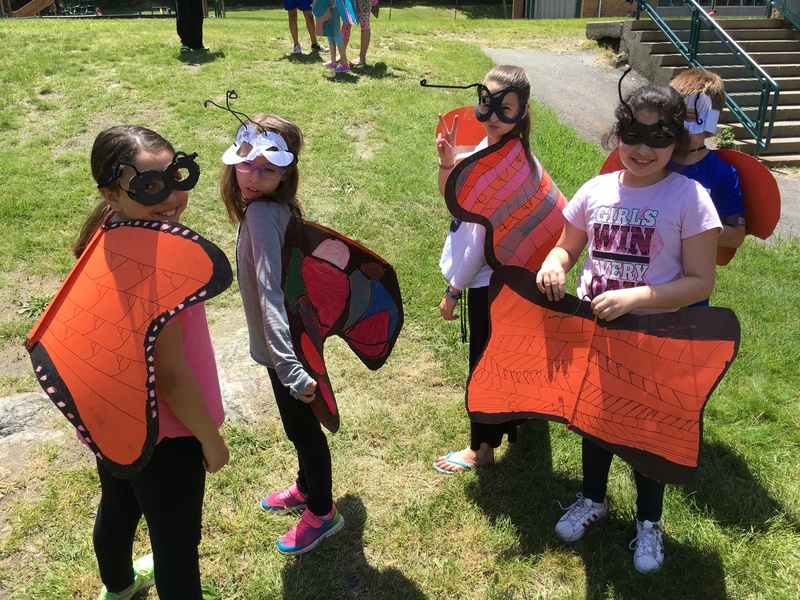 This year Burlington took a big step toward aligning with the new K-12 Massachusetts Science, Technology, and Engineering Standards by introducing plant and animal structure and function units to the first and fourth grades. 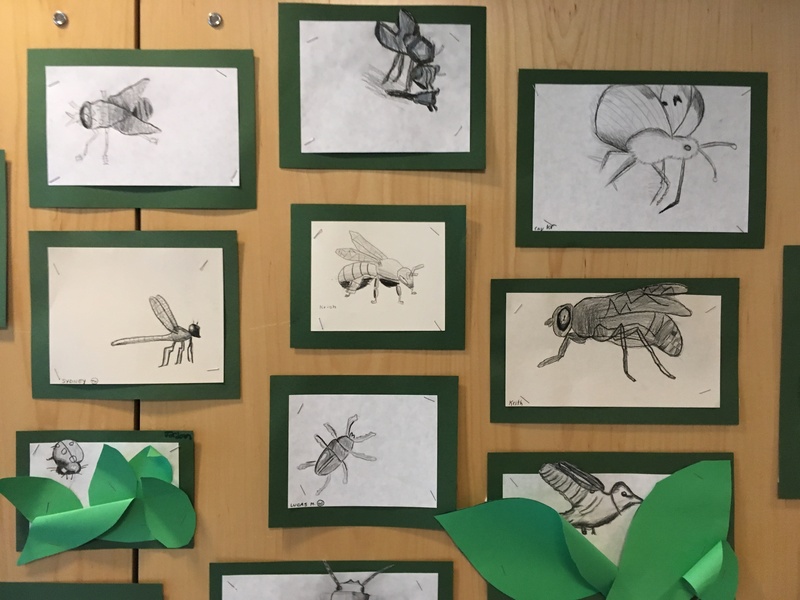 The process of pollination, and how the structures of plants and animals work together to help one another survive has been the focus at the fourth grade level, with students examining internal and external parts of the organisms to grasp their function. 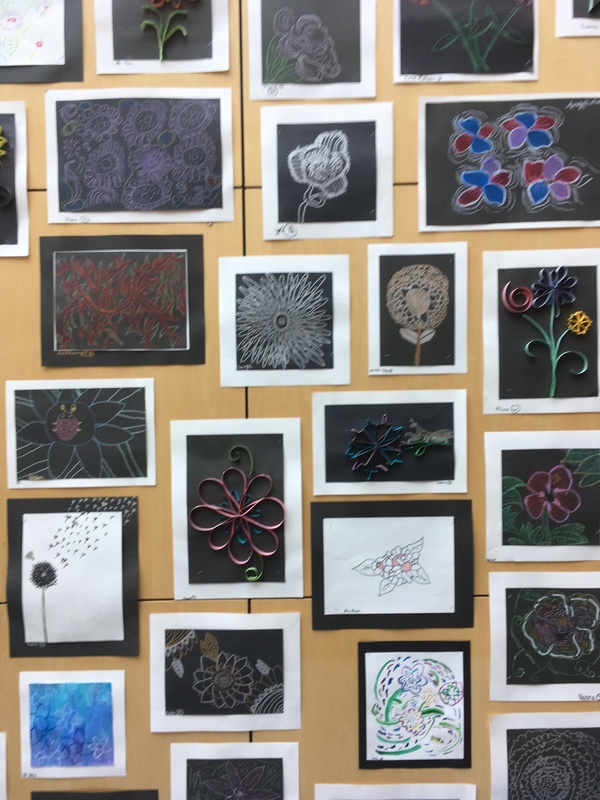 Along the way, the BPS Art Department was inspired to bring this exploration into their own work, and coordinated closely with Miss Pavlicek to interweave their own art standards and aspirations with the science curriculum. Two teachers in particular have stood out that we would like to recognize. 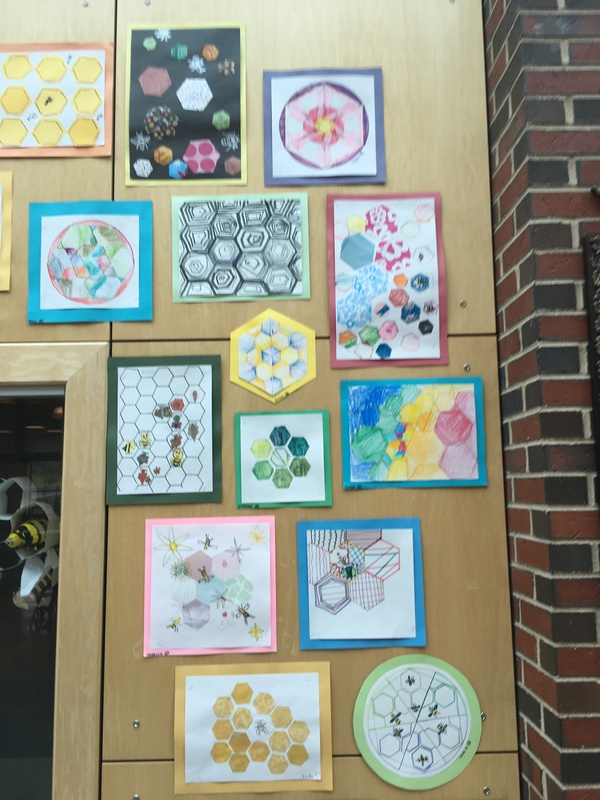 Art teacher, Donna York at the Memorial School became so inspired by the new curriculum that she dedicated a large portion of her year to the pollinator theme, having students from all grades construct artwork that captures pollinator shape, color, and function. When the work was published this spring through the Memorial hallways the work was absolutely breath-taking! 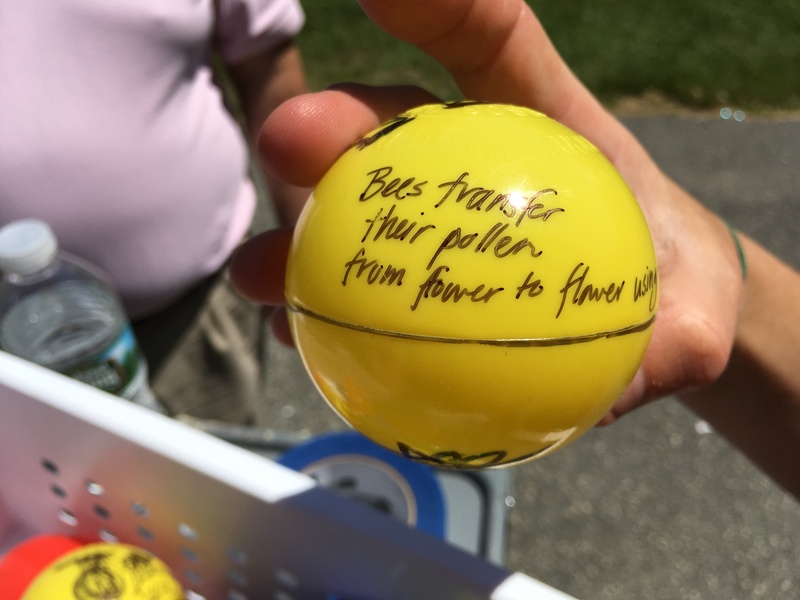 Art Teacher, Courtney Fallon took students in a different, but equally wonderful direction by piloting a pollinator performance unit to be shared with her fellow elementary art teachers in hopes they might produce something similar in their own schools. 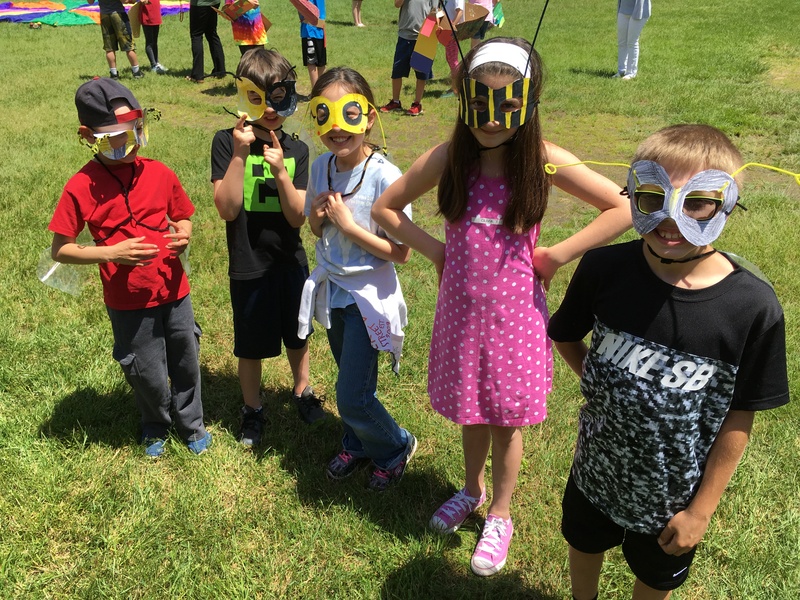 Students incorporated costume art, models created on “pollen” to demonstrate new learning, and an interpretive dance that got different pollinators mixing it up to share learning around their given pollinator type. We are so impressed at the wonderful work these teachers have produced with their students! Special thanks again to Donna York and Courtney Fallon as well as Art Department Team Leader, George Rakevitch for their dedication and vision to make these imaginative projects a reality for their students.